Hesperobaenus is in the tribe Europini, subfamily Monotominae, and is thought to be closely related to the genera Europs and Phyconomus (Bousquet 2002b, 2003c). The type species is Hesperobaenus abbreviatus (Bousquet 2002b). 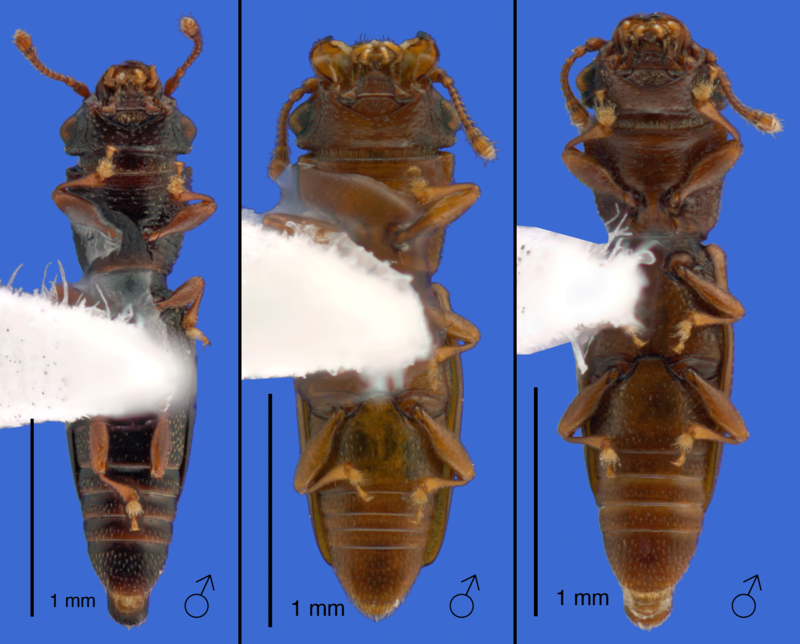 Hesperobaenus can be separated from other New World genera by the following combination of features: antenna with two-segmented club; elytral disc with setigerous punctures arranged in longitudinal rows, inflexed part of elytron with 4-5 rows of longitudinal punctures, pronotal disc with impunctate median zone, fore coxae rounded. Some species can have much longer setae than most monotomids, appearing almost hairy under the microscope (Bousquet 2002b). Little is known about the biology of Hesperobaenus although it is likely that they are fungus feeders (Lawrence 1991). Hesperobaenus rufipes has been photographed grazing on the fruiting bodies of ascomycete fungi (see bugguide.net). 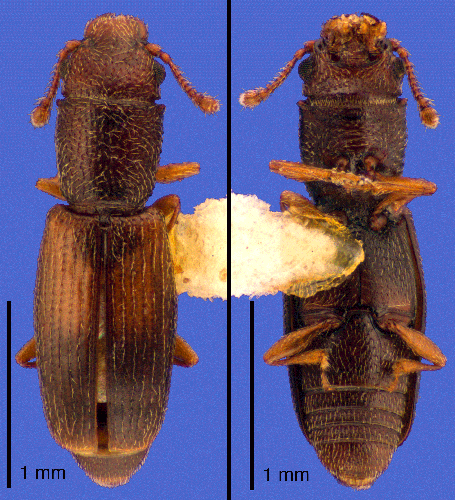 Hesperobaenus are often collected under bark and some have been found under the bark of a wide variety of trees (e.g. Hesperobaenus abbreviatus and H. rufipes). Some Hesperobaenus are associated with yucca or sotol plants (Asparagaceae) (Bousquet 2002b). Restricted to the New World and Hawai’i, the genus is best known from North America (Bousquet, 2002b), although several undescribed species occur in Central and South America (TCM, pers. obs.). 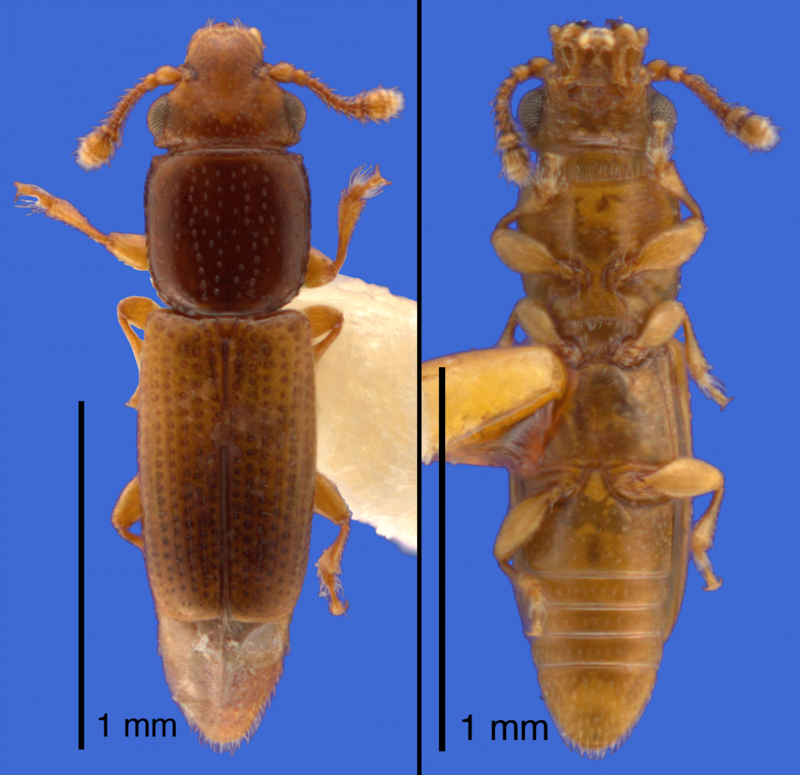 Two species in North America, Hesperobaenus rufipes and H. alternatus, are widely distributed in the eastern and western parts of the United States, respectively. The remaining species are more locally distributed in the western and southwestern United States. One species, H. capito, is restricted to Hawai'i and other Pacific islands, although its generic placement is doubtful.